Back to basics never looked better. This best-selling women's tee by American Apparel is a versatile must-have for every lady's wardrobe. Wear it to work or play, or dress it up with a blazer or sweater and wear it out to dinner. Super soft, lightweight, and perfect for screen printing. 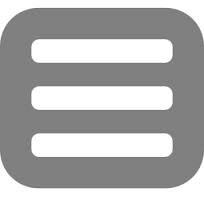 NOTE: Sizes run small. Order 1 to 2 sizes larger. A cartoon style President Donald Trump dressed in a green leprechaun costume. His skin is orange and hair is even more orange. 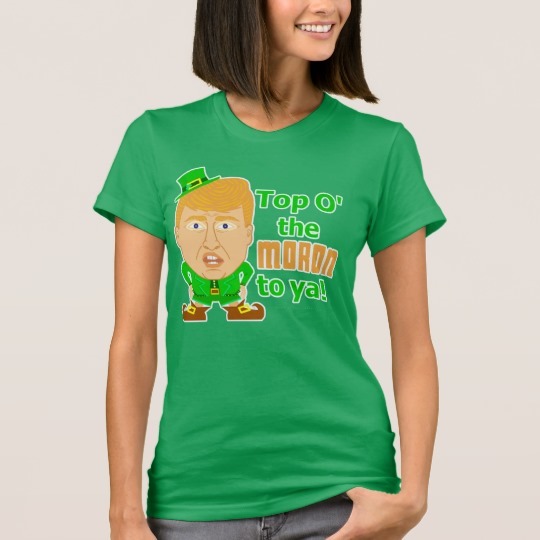 The Trump leprechaun is next to the the words Top O' the Moron to ya! 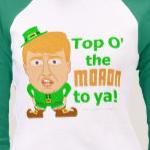 An anti-Trump St. Patrick's day design to poke fun at the orange moron.